What did Casey receive in the mail? 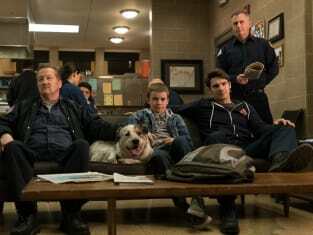 On Chicago Fire Season 4 Episode 20, Casey was shocked to the core when a suspicious package arrived for him in the mail. Elsewhere on this addictive drama, Severide had to watch Holloway's young son as she testified in court, but how did the outcome affect him? Also, the squad responded to a fire at an art gallery, but was it another arson case they had to solve?